Hi again everyone and thanks for the visit. Some of the examples you will read will probably seem bizarre, almost funny and hard to believe but there is nothing more strange than folk. Please leave me some feedback on your thoughts so I have a better idea what else is going on. If you tweet and are on twitter did you know you can contribute to the test it Tuesday campaign to try and change things by using the hash tag #testittuesday ? Please look it up and help to bang the drum of change. Thanks again and please enjoy the article. A smoke alarm in a coat pocket, one on top of a TV, and several in cupboards and on shelves and windowsills – these are some of the strange but true reasons behind the UK’s one in four smoke alarms failing . Cupboards shelves, windowsills and even coat pockets are some of the most common – but dangerous – places firefighters have found smoke alarms on their visits to residents’ homes. 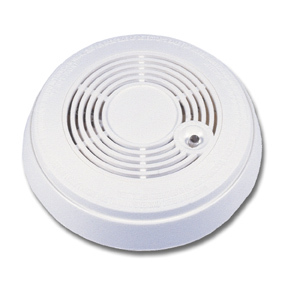 Government advice is that as a minimum, every home should have a smoke alarm fitted on the ceiling of every floor. But while the vast majority of the country’s households now own a smoke alarm, around one in four alarms still fail in a house fire because the smoke did not reach them or the batteries are missing or flat. “These anecdotes clearly emphasise that many people are unaware of how important it is to fit their smoke alarm correctly,” said the Government’s chief fire and rescue adviser, Sir Ken Knight. “A working alarm can give you and your loved ones the vital seconds needed to escape in a house fire. But positioning your alarm out of sight and mind can render it as useless as removing the batteries altogether. if you need our help at work please call us on 01415612735 or click here to book a free no obligation workplace survey. This entry was posted in Guidance and Advice and tagged alarm, campaign, Fire, Safety, scotland, smoke. Bookmark the permalink.